EASTER DEAL - Usually 6.99, today just 3.99 - Save £3! 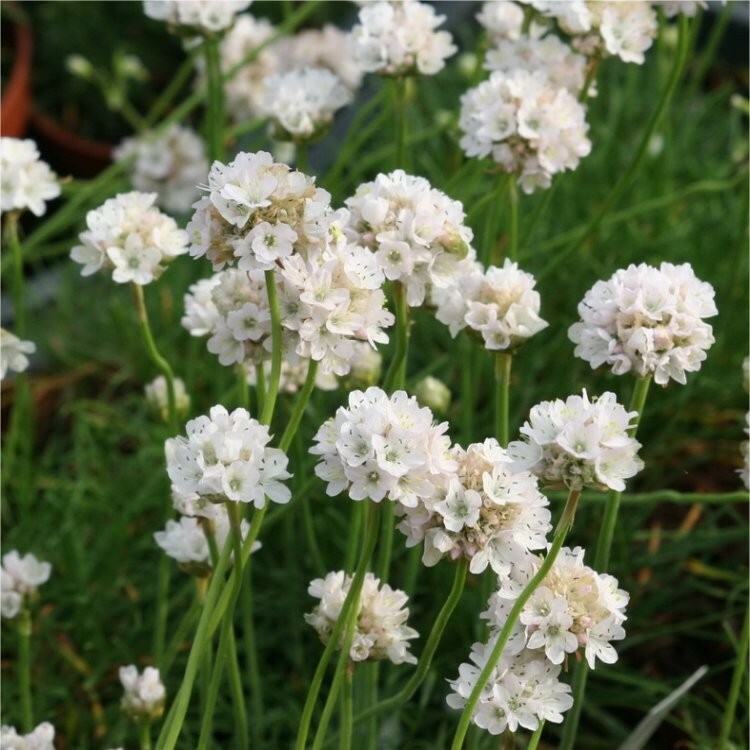 The sister plant to ''Splendens'', this white variety will add a little variation to your armeria plantings and break up areas that are a sea of pink. Equally stunning on it's own, this jewel shines in virtually any situation. Like ''Splendens'', we recommend a mass planting, Armeria are great for ground cover. If you are more restricted for space, try in an Alpine planter, with sedums. Supplied in approx 1 litre containers, full of buds and blooms in season.